Glenwood have been suppliers of Fasteners, Fixings, Tools and Engineering Supplies to the trade for over 30 years. 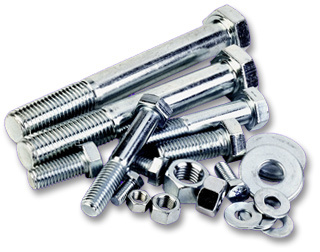 We hold vast stocks of both metric and imperial bolts, screws and fastenings in all sizes and we can quote for standard and non-standard fixings too… we will always try and source the item you need no matter how specialized it is! Glenwood Bolts & Screws will quote ALL MATERIALS, including Steel, Galvanized, Brass and Stainless Steel enabling us to serve a large range of industries including engineering, micro-construction, electrical engineering, farming, joinery and precision manufacturing. 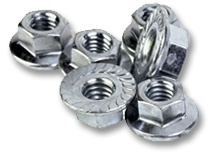 We also supply anchoring and fixing supplies for the construction and building industry too, in fact we can cater for all aspects of engineering and construction supplying the fixings and fasteners that the modern day industry requires. As well as bolts, fixings and fastenings, Glenwood are also frontline stockists and suppliers of the excellent Silverline Tools range. We also stock various other tool manufacturers too and again, if there is something specialist you require... we will source it for you! We also supply industrial clothing to keep you safe and clean while on the tools and if that wasn't enough our selection of lubricants and cleansers is sure to keep most aspects of the engineering industry happy! Glenwood have a large trade counter servicing local industry and the public – searching for the obscure or “no longer available” fastener is no problem… just come in or call and we will do the rest! We are ideally situated in a central position to Cambridgshire, Essex, Hertfordshire and Suffolk. Our policy is to tailor our stock range to provide an “off the shelf” service for as many industries as we can and we are happy to liaise with your company's buyer to ensure that we have the components you need in stock when you need them.